Audi’s Bavarian rival, BMW, has just taken the wrapping off of its newest flagship SUV — the BMW X7. It’s a massive mammoth of a machine, seating seven and costing just shy of six-figures. It’s also the brand’s flagship luxury SUV, with BMW 7 Series-levels of comfort and technology. So it’s a proper luxo-barge. The question, though, is whether or no Audi should create an X7-fighting rival? Some might argue that the Audi Q7 or Q8 could rival the new BMW X7. They would be wrong. The largest SUV Audi has is the Q7 and it’s simply not big enough to take on the behemoth that is the BWM X7. The Q7 competes with BMW’s X5, in price, size and luxury. There’s the Audi Q8, which is more premium and luxurious than the Q7 but it’s also even smaller and more coupe-like, more designed to take on the BMW X6. So that leaves Audi the only premium German brand without a horse in the X7’s race. Mercedes-Benz has the GLS-Class, which will be receiving a brand new model in 2019, and that competes directly with the BMW X7. In fact, the GLS-Class was the first German to enter the segment (then called the GL-Class), which has always been dominated by the Range Rover. 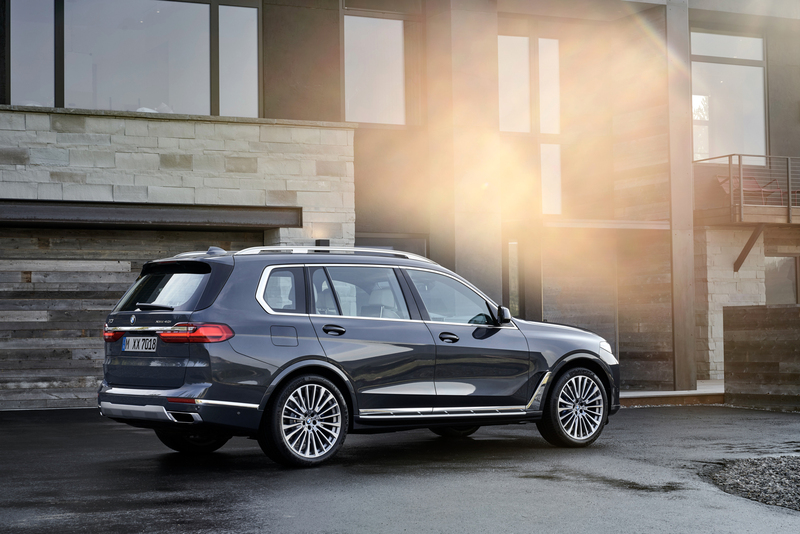 So now the BMW X7 joins the Mercedes-Benz GLS-Class in this full-size SUV segment, leaving Audi in the stands to watch. So should Audi create a massive SUV rival to these cars? The easy answer would be to say yes, it should. It would allow Audi to take a bite out of the same pie that its rivals are eating and give it some extra luxury cred. However, it might not actually make any sense. Audi is looking to create a more high-tech, more efficient image for itself, with the all-electric Audi e-tron being the car to begin the trend. The e-tron GT and Sportback will come soon after and then Audi will be a fully-fledged EV-maker. So it might not make much sense to add a big, gas-guzzling SUV to its lineup while it’s trying to go green. Although, if the upcoming Audi e-tron models become great successes, Audi might have some moral equity that could allow it to create something large, possibly an Audi Q9, to take on the new BMW X7. Still, right now, we think it’s probably best for Audi to focus on electric cars and performance cars. That’s where Audi’s focus should be, both from a business sense and an image sense, the latter being important after the brand’s infamous diesel emissions scandal. So while it might be tempting to want Audi to create a mammoth of an SUV with its best possible luxury and technology (and that does sound cool), it’s just not the right time for such a car.